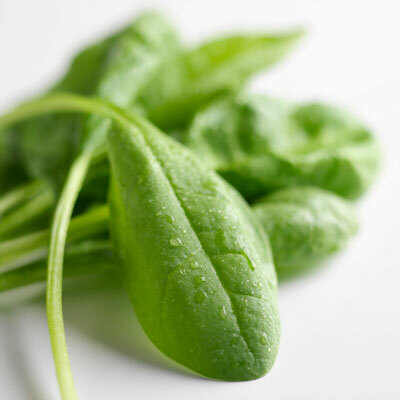 Whether you’re enjoying a green smoothie or a wholesome salad, spinach is a delicious, nutrient-dense veggie that lends a vibrant, green color to any recipe. Widely recognized as a superfood, Spinach can be incorporated into numerous dishes including pastas, soups, dips, omelets and casseroles. It can be sauteed and seasoned for a healthy side dish or eaten raw on wraps, sandwiches and salad. Get an extra serving of veggies each day by adding spinach to your favorite fruit smoothie - you won’t even know it’s there! Look for a leaves with a medium to dark green color that are firm to the touch. Wash leaves thoroughly and place in a plastic bag for storage. Always wash fresh produce before consuming.